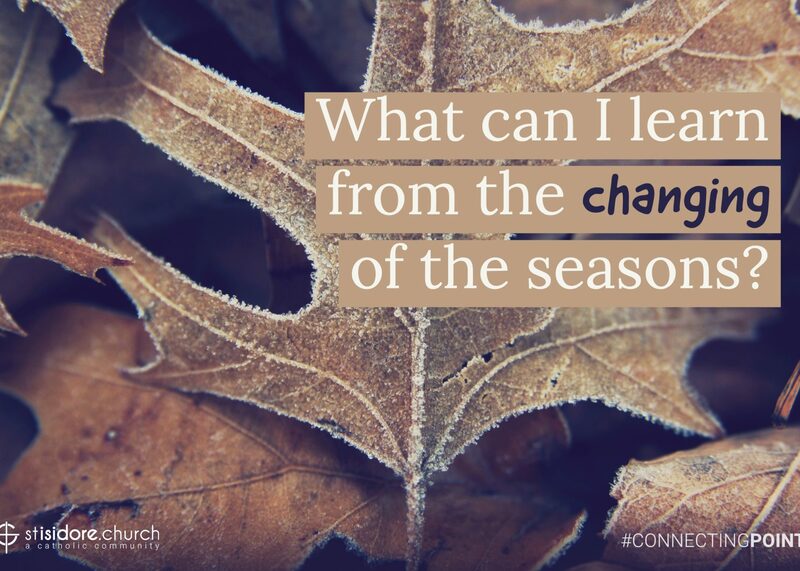 What can I learn from the changing of the seasons? Seasons remind us that change isn’t bad, especially when we’re prepared for it. Seasons are the epitome of predictable change. We know what kind of change to expect with seasons. Seasons remind us that there are rhythms to life, cycles of existence, and that we’re closely connected to them. The changing seasons bring new opportunities and new experiences, even as they may bring some new challenges. But the challenges of change usually come when change catches us off guard; like a winter storm without a snow shovel or a cold night before the firewood has been brought in. But when we’re well-prepared change is something to look forward to. When the wood is gathered and the snow shovel is ready, the challenge of winter fades. It can even be fun if the sled is ready. Seasons remind us that change is impossible to avoid. Change comes whether we like it or not. Change comes to our bodies and our families—and to our churches—as time goes by. Seasons remind us of the inevitability of change and the steady passage of time. Every season gives us a chance to change with it. It may be silly to leave our beach towels packed away and our winter coats on when summer comes. And seasons remind us of the presence of powerful forces beyond our control. Seasons remind us that there is both mystery and order to the way the world works. Some of it we understand and some of it will always be too big for us. The order and predictability of the seasons is reassuring in a world that doesn’t always make sense. The mystery and grandeur of seasonal change inspires a sense of awe and wonder.